If in a chorus we hear our commonality being expressed, Barry’s choral music may induce a rare combination of delight and fear. His voices bound with vigour and virtuosity, and are bound together by a strong sense of purpose. But their purpose is often so strange, their resolution so perplexing, that we may flee from them as from a mirror showing us what we might rather not see. Is this us? Is this what we are like? Is this a body of people that, as listeners, we could feel ourselves to belong to, and even be enjoying the participation? Stay a while. Look back into the mirror. Yes. Perhaps the image fits. What is most disconcerting about this music, and at the same time most enlivening, is its frank exposure of its mechanics. Repetition is everywhere, repetition of notes, of intervals, of small units, of entire passages. Then there is the strict rhythm, jolted as it often is by a change of metre and therefore of stress within the pulsing regularity. We also have tonal music – music that keeps to the notes of a certain scale – that does not behave like tonal music, playing its chords like shuffled cards, with no respect for the customary ways in which harmony should flow. Normal logic may also be ignored by how lines pop up or down to extreme registers, or how words give way to vocalise or breathing exercises.Everything may stop. Then the music may go on as before, or with a different kind of difference. Difference, voicing difference, is what it is all about – difference between the supposedly natural and the supposedly automatic as something to be investigated at a time when most of us conduct a large part of our lives, even of our personal lives, by means of machines. And difference as a shout against indifference. Hence the relevance of Beethoven, who had to engage with the Industrial Revolution in the form of printing presses wearing the faces of music publishers, and who, against physiological and social hindrances, maintained a forthright devotion to his work. Beethoven is the hero here, in two acts of a Beethoven opera that our indefatigably dramatic composer needs us only to hear. The libretto for this opera comes from Beethoven’s letters, and so we hear Beethoven’s own voice (at least, as rendered by his English translator, Emily Anderson), enunciated by a singing voice, that of a bass-baritone, we could easily take as Beethoven’s. At this point, however, naturalism ends. Beethoven – and perhaps this is the first time anyone dared make the name a title – opens with the protagonist caught in zigzag rhythms and spatchcock harmonic motivations, delivering a heartfelt address to his ‘immortal beloved’ like a wind-up toy. This is entirely white-note music, until the shift at ‘My journey was a fearful one’, yet it obstinately refuses to play any game but its own, and retains the prerogative of changing the game without a moment’s hesitation or warning. There is no sentimental effort to identify with what is perceived as Beethoven’s frustrated love; rather, the self-evidently enacted nature of the monologue may imply a level of detached enactment in Beethoven’s writing of the original document, and in that way be surprisingly truthful to the case. Alternatively, we may understand the artificiality – the stop-go stream of words, the momentary emphases by means of accent, register or scoring (‘Esterhazy’ set high with strings, for instance, in a wind-driven section) – as keeping us attentive to how, though these are Beethoven’s words, they are being delivered by a not-Beethoven. ‘Now a quick change’, the soloist announces, as the music returns to white notes and settles, if that is quite the word for this always unsettled and unsettling music, into 6/8 time. ‘Ludwig’ signs off and there follows an interlude, based on a piece by Henri Bertini, with the soloist moaning along against the prevailing E major on his own note, B flat (in German nomenclature B, for Beethoven). Here Barry recalls his teenage self at the piano, as enamoured of banal music as of the great classics. Then comes a section for the ensemble alone, marked ‘Explosive’, with chromatic clusters in the piano doubled by the wind and strings. The soloist returns at the start of a curious passage where, through all the music’s grand scalewise rises, the D on the treble staff is constantly being repeated by one instrument or other, a false tonic. A couple more instrumental constructions follow, before one final surprise: a chorale on a well-known Christmas carol, but as disturbing a chorale as one might hope to hear. 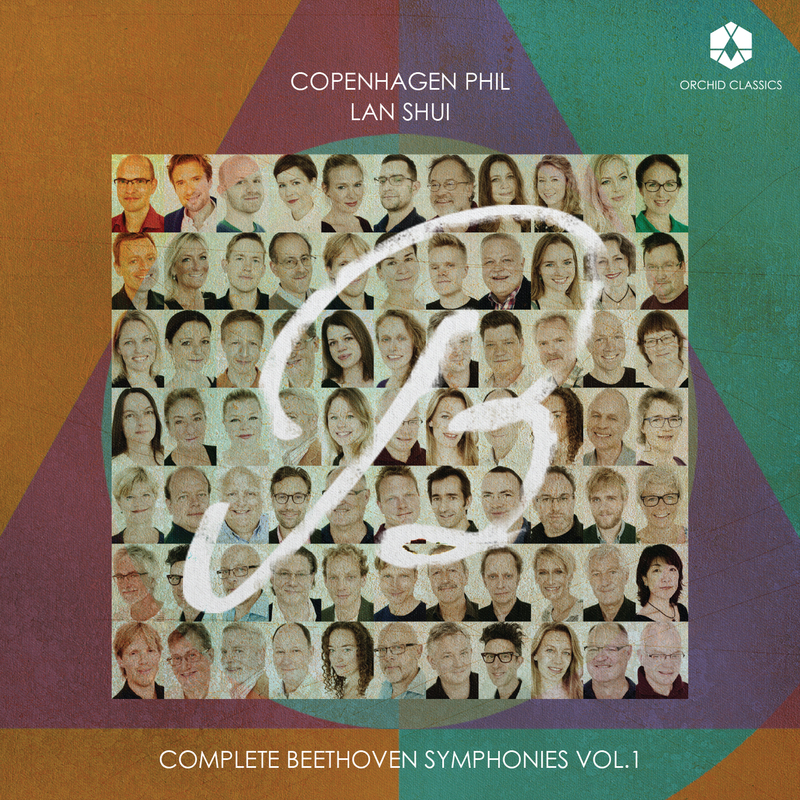 Barry wrote Beethoven in 2007 for the Birmingham Contemporary Music Group and its companion piece two years later for Chamber Choir Ireland, along with organizations in Denmark and Portugal. Between these works here come unaccompanied choral pieces and a string quartet, beginning with O Lord, how vain (1995), a haunting and puzzling piece commissioned by Trinity College, Dublin. Addressing students, Barry offers a suitable moral, the words by Sir Philip Sidney. A modal tune is sung first by a solo soprano, then by the choral sopranos with delicately jarring accompaniment from altos (until these concede responsibility to the basses), then by tenors and basses repeating the same music without the sudden octave plummet, and finally by the whole choir, in a further repetition. So far, so good. Separating the verses, however, are Irish whistling choruses, for tenors, altos and full chorus in turn, suggesting a degree of non-seriousness in the singers’ response. Barry wrote First Sorrow, his fourth string quartet, for the Crash Ensemble in 2006-7. The title comes from that of a Kafka story, about a circus trapeze artist who holds tight to his trapeze everywhere he goes, and whose first sorrow comes when he feels the need for a second trapeze – the sorrow, as the circus manager recognizes, of the artist’s emerging self-consciousness. 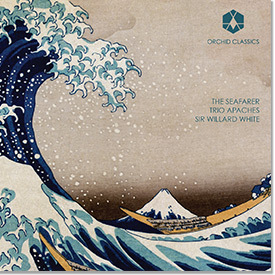 A kind of strained innocence is conveyed by this being white-note music throughout, with rather simple melodic shapes, suggestive of folksong or plainchant, tautened by the rhythm and harmonic incongruity. The instruments first play without vibrato a short passage in two parts (first violin and cello) that is repeated with rhythmic variation by the second violin and cello, followed by a similar passage for first violin and viola (mostly) repeated by viola and cello. All this is then repeated by the three upper strings in unison against the idling bass in the cello, now with extreme vibrato all round – ‘like a musical saw’, as Barry marks the passage.The third phase suggests a faded image of the same music, vibrato-less again and reduced almost to one note at a time. Suddenly, then, the music soars – the trapeze artist flies off, Barry suggests, without a safety net. The melodic substance is similar, but given driving rhythm, strong dynamics and frequent repetition. Equally suddenly this all stops, giving way to a further transformation of the basic material and a further strangeness, the musicians playing a chorale whose melody they simultaneously sing. Stopping once more, the piece is over. The next two choral pieces were both written for the annual Seminar on New Choral Music at the Cork International Choral Festival in 1997 and 2012 respectively. The Coming of Winter sets a ninth-century Irish poem in oscillating thirds, twice – and twice again in reverse (with some alteration to intensify the consonants), after which the singers go on the rampage before turning themselves into a clock, as the ice thaws with the coming of spring. Long Time is again a white-note game, one that gets far more than one might have thought possible out of the C major scale, partly by applying this utterly basic stratagem to an elevated text: the opening of Proust’s Remembrance of Things Past, as translated by Scott Moncrieff. In where the scales turn, change voice or stop they pay acute attention to the words, which are eventually abandoned, to leave the music perhaps searching another soul to inhabit, departing on a note outside the scale, C sharp, which soloists from each section of the choir get a chance to whistle. Here Barry transcribes the bells he hears every night from a barracks close by his home. Now Beethoven returns, bringing with him a different scale, downward chromatic, at the start of Schott & Sons, Mainz, a somewhat ambivalent homage to the firm Barry had recently joined. This time the letters come from Beethoven’s last years and concern his dealings with the company over his Missa solemnis, his Ninth Symphony and a quartet (the Op.127 and Op.131 quartets were first published by Schott). Where he writes to correct proofs of the mass, he can, since he now has a voice, sing out misprints and emendations. Many of the features found in Beethoven and the other pieces recur here, for they are Barry specialities: angular lines (especially for the soloist, bizarrely skipping up into his falsetto register or, more rarely, plumbing the depths of his profundo), wild rhythms jerked by accents, violent mood swings, whistling and other non-verbal signs of life (including a sweet humming chorus that is teasingly placed right after the most ‘Darmstadt’ music in the piece – note the famous name), and repetition, this last very much à propos in a piece about publication and therefore about copying. A passage in which Beethoven strikingly looks forward to the xerox machine or computer printer has the soloist ejaculating the same six vocal bits seven times over. What we hear at the end is the great composer’s death. If the work is, in this and other respects, more theatrical than its Beethovenian predecessor, this may have to do not only with its having been composed on the cusp of a comic opera, The Importance of Being Earnest (in which Beethoven’s Ninth Symphony makes a non-appearance), but also with Barry’s vivid use of the soloist-chorus format. So often repeating what the soloist has just expressed, or singing along with him in rapidly changing dispositions and wacky harmonies, the choir behave like unruly students, mimicking their master in support or mockery (and we may not know which, and neither may they). Their silence, too, may be just as powerful, those moments when ‘Beethoven’ finds himself alone. The Los Angeles Times on The Importance of Being Earnest (2012) Gerald Barry was born in Clarehill, Clarecastle, County Clare, Ireland in 1952,and studied with Stockhausen and Kagel. His early music from 1979 included “_______” for ensemble, of which Kagel wrote: ‘Gerald Barry is always sober,but might as well always be drunk. His piece “_______” is, on the contrary, not rectilineal, but ““. Also from 1979 is Ø for two pianos in which both pianos play identical music simultaneously. His music has been recorded on the NMC, Black Box, Marco Polo, BVHaast and Discovery labels. 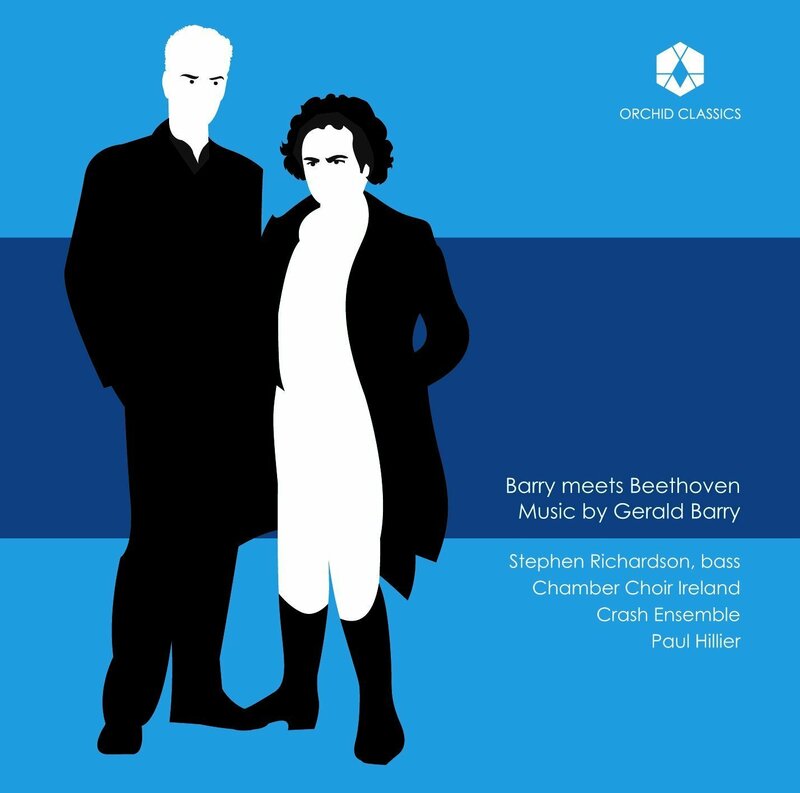 Barry’s works have been commissioned and performed by major orchestras including City of Birmingham Symphony Orchestra, London Symphony Orchestra, New York Philharmonic, Philharmonia Orchestra, Symphonieorchester des Bayerischen Rundfunks, Los Angeles Philharmonic and Frankfurt Radio Symphony, and by ensembles like Britten Sinfonia, Birmingham Contemporary Music Group and St. Paul Chamber Orchestra. Recent commissions include the Piano Concerto, written for Nicolas Hodges and premiered with Bayerischen Rundfunks under Peter Rundel in Munich’s Musica Viva series, and the CBSO under Thomas Adès. Subsequent performances were given by Avanti! Chamber Orchestra and RTÉ National Symphony Orchestra, where Barry is Composer-in-Residence (2015-2018). Barry is well-known for his five operas The Intelligence Park, first performed at the Almeida Festival, The Triumph of Beauty and Deceit, for the Aldeburgh Festival and Berliner Festwochen under Thomas Adès, The Bitter Tears of Petra von Kant, staged at English National Opera and Theater Basel, La Plus Forte, a one-act opera commissioned by Radio France and premiered by Barbara Hannigan, and The Importance of Being Earnest, jointly commissioned by the LA Philharmonic and the Barbican in London with stagings at Opéra national de Lorraine, London’s Royal Opera House, NI Opera and Lincoln Center. Earnest received a 2013 RPS Award for Large-Scale Composition and the recording, released on NMC, was nominated for a 2016 Grammy Award. Upcoming works in 2016 include a new opera, Alice’s Adventures Under Ground, Humiliated and Insulted for choir and orchestra, and The Destruction of Sodom for 8 Horns and 2 Wind Machines. Paul Hillier is from Dorset in England and studied at the Guildhall School of Music and Drama in London. His career has embraced singing, conducting, composing, and writing about music. He formed the Hilliard Ensemble in 1973 and was its musical director for 17 years. In 1990 he created a new group called Theatre of Voices, which he continues to direct today. He has taught in the USA at the University of California campuses of Santa Cruz and Davis, and from 1996-2003 was Director of the Early Music Institute at Indiana University, Bloomington. 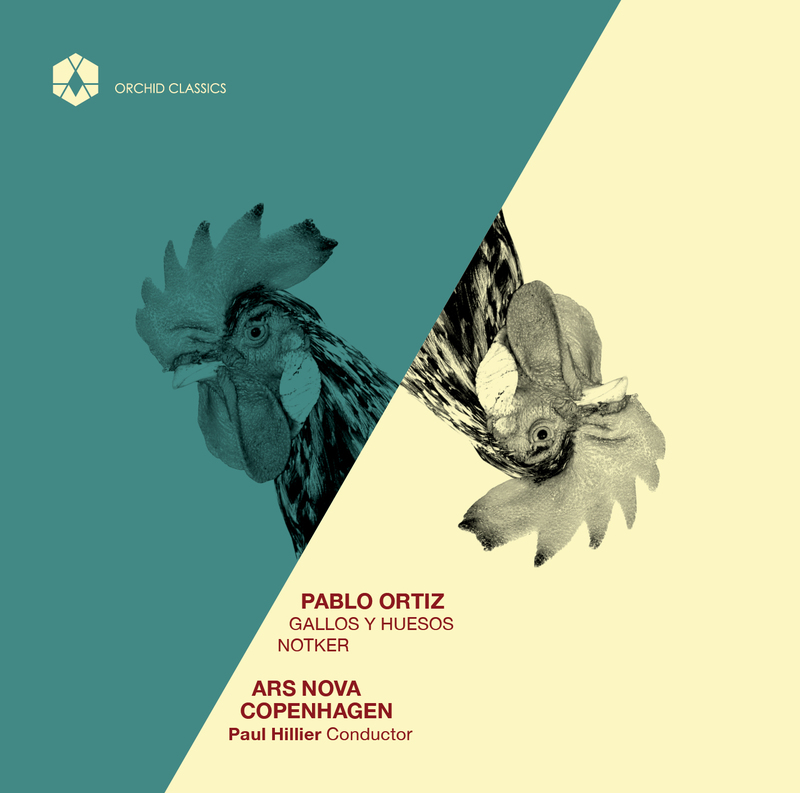 He was Principal Conductor of the Estonian Philharmonic Chamber Choir (2001-2007) and has been Chief Conductor of Ars Nova Copenhagen since 2003.His books about Arvo Pärt and Steve Reich are published by Oxford University Press. In 2006 he was awarded an OBE for services to choral music. In 2007 he received the Order of the White Star of Estonia, and was awarded a Grammy for Best Choral Recording. In 2008 he became Chief Conductor of Chamber Choir Ireland and was appointed artistic director of the newly formed Coro Casa da Musica in Porto. That same year he also created his own music publishing company, Theatre of Voices Edition (www.tov-edition.com). During 2009 he was artist in residence at Yale University’s Institute for Sacred Music. In 2010 he was awarded his second Grammy – for David Lang’s The Little Match Girl Passion. In 2013 he was awarded the Order of Dannebrog (the Danish knighthood) by Her Majesty Queen Margrethe of Denmark. Paul is represented worldwide by Konzertdirektion Hörtnagel, Berlin Stephen Richardson | Bass Stephen Richardson studied at the Royal Northern College of Music. He created roles in many important contemporary works including Thomas Adès’ The Tempest (Royal Opera House); Tan Dun’s Orchestral Theatre II‚ Re‚ and Tea (Suntory Hall‚ Tokyo); Barry’s The Triumph of Beauty and Deceit‚ The Importance of Being Earnest and The Intelligence Park; Tavener’s Eis Thanaton‚ Resurrection‚ The Apocalypse and Fall and Resurrection (City of London Sinfonia‚ St Paul’s Cathedral); and the British premiere of The Handmaid’s Tale (ENO). Notable engagements include Baron Ochs Der Rosenkavalier (Bolshoi‚ Moscow)‚ Hobson Peter Grimes (La Scala‚ ROH‚ Opera North and Aldeburgh Festival)‚ Falstaff and Sarastro (Opera Australia), Rocco (Garsington Opera,Opera Holland Park and The Bridgewater Hall)‚ Frank Die Fledermaus (Korean National Opera)‚ Commandant From The House of The Dead and The Adventures of Pinocchio (Opera North)‚ Flint Billy Budd (Netherlands Opera), Ferrando Il Trovatore (Den Jyske Opera), King of Hearts in Unsuk Chin’s Alice in Wonderland and Lady Bracknell (Los Angeles Philharmonic)‚ Sarastro The Magic Flute‚ Daland The Flying Dutchman, Lady Bracknell, Timur Turandot (Northern Ireland Opera), Beethoven in Barry’s Schott and Sons‚ Mainz (Dublin) and Powder her Face (London Symphony Orchestra). Concert repertoire includes Anubis/Death of Kong in Birtwistle’s The Second Mrs Kong (Royal Festival Hall/ Martyn Brabbins)‚ Messiah (Carnegie Hall/ Trevor Pinnock)‚ Oedipus Rex (BBC Stravinsky Festival/ Sir Andrew Davis) and Knussen’s Where the Wild Things Are and Higglety Pigglety Pop! (Cleveland Orchestra and London Sinfonietta). Recordings include Where the Wild Things Are‚ title role in Goehr’s Death of Moses‚ Purcell’s Ode for the Birthday of Queen Mary, Stravinsky’s The Flood and Britten’s A Midsummer Night’s Dream (London Symphony Orchestra / Sir Colin Davis) and Albert Herring. Chamber Choir Ireland is Ireland’s flagship choral ensemble and national chamber choir. The Choir is known for its unique approach to programming and has gained a reputation for the high artistic quality of its performances.The Choir remains a thriving force on a very active choral scene both at home and abroad. Since the mid-1990s, the Choir has made a significant contribution to the development of contemporary choral music through its commitment to commissioning, premiering and recording new work from both Irish and international composers. Commissions have included new works from Gerald Barry, Kevin Volans, Siobhán Cleary, David Fennessy, Stephen McNeff, Tarik O’Regan & Jennifer Walshe. Internationally, the Choir has toured in Europe, Asia, North & South America including a performance in The White House in March 2011 and Russia in 2014, and has recordings on the RTÉ Lyric FM and Harmonia Mundi labels. Principal funding for Chamber Choir Ireland comes from the Arts Council /an Chomhairle Ealaíon with additional support from Dublin City Council. The Choir is a resident ensemble in the National Concert Hall. Some of the most distinctive living composers have written for Crash in recent years including; Terry Riley, David Lang, Michael Gordon, Louis Andriessen, Arnold Dreyblatt, Kevin Volans, Glen Branca, Nico Muhly, Gerald Barry and ensemble founder Donnacha Dennehy. Crash have performed with artists from diverse musical backgrounds; Gavin Friday, Dawn Upshaw, Julie Feeney, Lisa Hannigan, Íarla Ó Lionáird (The Gloaming), Bryce Dessner (The National), Richard Reed Parry (Arcade Fire) and Sam Amidon. Crash Ensemble have recordings on NMC, Cantaloupe, Nonesuch and the Bedroom Community labels. Recent appearances include the Edinburgh International Festival, The Royal Opera House (London), The Barbican (London), Carnegie Hall (NYC) The John F. Kennedy Center for the Performing Arts (Washington DC), Virginia Tech, GAIDA Festival (Lithuania) and residencies at The Huddersfield Contemporary Music festival (UK) and Princeton University (NJ). Crash Ensemble are adventurous, innovative and ambitious. Crash Ensemble are supported by The Arts Council of Ireland, Dublin City Council, The Aaron Copland Fund.